Charles is a Solicitor in the Wills Trust and Probate department and is based at the Ollerton Office. Charles qualified as a Solicitor in February 2015 having studied law at Lincoln University, going on to complete the Legal Practice Course at Nottingham Law School. 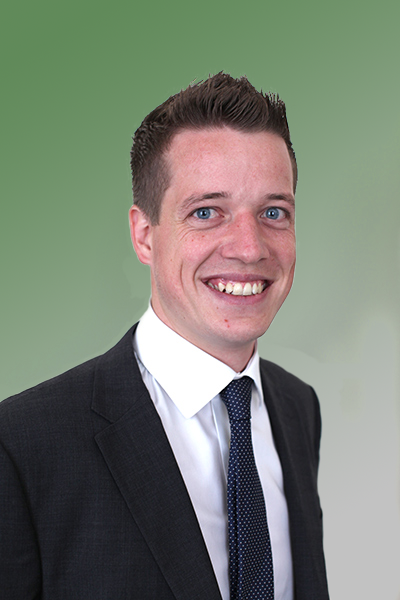 Charles joined Jones and Co. in July 2011 but has been connected with the firm since 2006 when he attended for work experience. Charles has strong local connections having lived in the Retford area for almost all of his life. He has recently joined the Retford Rotary Club and is looking forward to contributing to their charitable efforts. Charles specialises in Wills, Trusts, Probate, Lasting Powers of Attorney and Court of Protection work having trained and worked with both Head of Department, Philip Armstrong, and Matthew Sharpe (former Senior Partner). In his spare time, Charles is a keen golfer, footballer and plays table tennis in the Retford League. He is also the defending Bawtry Sports Day “Welly Wanging Champion” and is keen to maintain his undefeated reign.